At Argentum, we are impressed with the talent, skills, and dedication of the young leaders nominated for our Senior Living Leaders Under 40 recognition program. This year our nominees included entrepreneurs, fast-track executives, and innovators whose achievements go beyond their years. As busy as they are, each of these individuals makes time to give back to society in myriad ways, from serving on nonprofit boards to coaching youth sports. We’re pleased to feature them in this issue, and they will be recognized at the 2019 Argentum Senior Living Executive Conference in San Antonio, Texas. Here, we are pleased to present our 2019 Senior Living Leaders Under 40. These are the people shaping the future of senior living. JONATHAN BARBIERI has a history of firsts. In high school he was the first student nominated to participate in a cross-district Allied Health program. As a student at the University of South Carolina, he was the first athlete to maintain Division I sports program requirements while meeting nursing clinical demands. 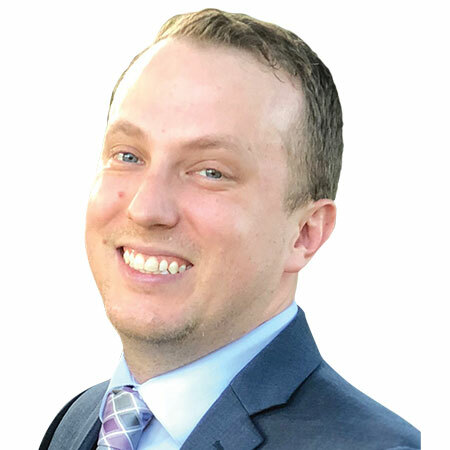 He was the first graduate nurse to go directly on the ICU floor at Main Line Heath Paoli, and at 23, he was one of the youngest members of the Sunrise Senior Living executive director team. As an energetic leader, he joined others with a similar vision as a board member at Greenfield Senior Living, where he helped triple the size of the organization. He also founded a human resource company to address the growing labor force disconnect companies of all sizes face by applying the same core care principles prevalent in health care to banking, finance, and human capital management. Barbieri spearheaded the introduction of Check In Angels to senior living, which brought supports to thousands across the nation. When Facebook users check in at participating locations, their friends and family receive a notification that serves as a tacit endorsement of the community. Check In Angels operates through the online platform Causely, which makes a donation to charity for each check-in. Jonathan’s ongoing aspirations and interests will always find common ground around a consistent and careful transformation within our industry to expand and improve the lives of those he serves. SUMMER BLIZZARD has a passion for seniors, technology, innovation, and customer service. She supports all operations with data analytics and reporting, reviews key processes, and oversees systems and technology implementation. Blizzard’s hard work has transformed the use of data at Morning Pointe allowing community teams to have better access to real-time information leading to more informed decisions. Her abilities earned her the title of vice president in less than one year of service at Morning Pointe Senior Living. 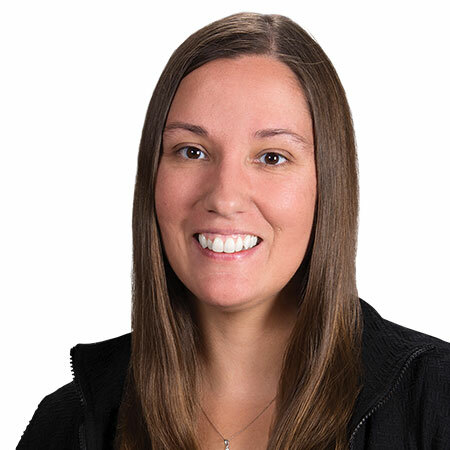 Prior to joining Morning Pointe, Blizzard worked for Elmcroft Senior Living, where she led a company-wide software review task force, developed a company intranet, and began a comprehensive analysis of key performance indicators. Blizzard served on the Future Leaders Council for the National Investment Center for Seniors Housing from 2016 – 2018, and was the co-chair of the FLC in 2018. She is a member of Chattanooga Women’s Leadership Institute and regularly speaks to classes of high school and college students about careers in senior housing. Blizzard is also heading up a new associate wellness program aimed at growing a healthy and engaged workforce. TOM CANTERINO is a groundbreaking innovator who helped create a new adult care market opportunity for one of the world’s largest toy companies. As global brand manager for Hasbro, he was brought onto the new business team to lead and define the senior care channel, focused on marketing to professional caregivers and senior living organizations. Under the brand name Joy For All, the team launched Companion Pet Cats in December 2015. The cats are lifelike interactive pets that provide the companionship and purpose associated with owning a pet without the responsibility of caring for a live animal. The Companion Pet Pup was added a year later. Companion Pets are proven to help residents enjoy a better quality of life by reducing social isolation, loneliness, and depression. The pets are widely used in memory care, therapy, skilled nursing, assisted living, adult daycare, and independent living settings. In 2017, Canterino and his team acquired the Joy For All brand and founded their own company, Ageless Innovation. 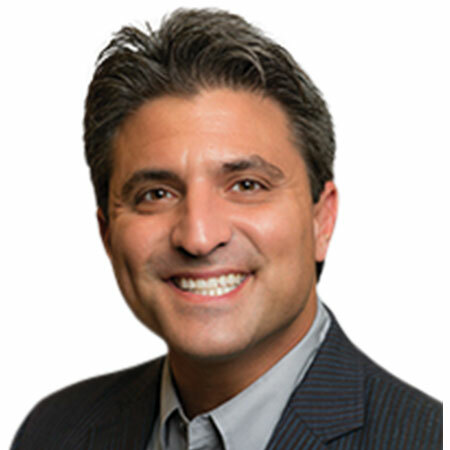 Canterino leads the business development side of the organization leading the global B2B channel expansion, strategy, research serving the senior care spectrum, clinical facilities, and overseeing numerous distributor and clinical retail relationships. The company has won many awards including Dementia Society of America Gold Award, Caregiver Friendly Award, and Rhode Island’s Fastest Growing Company. 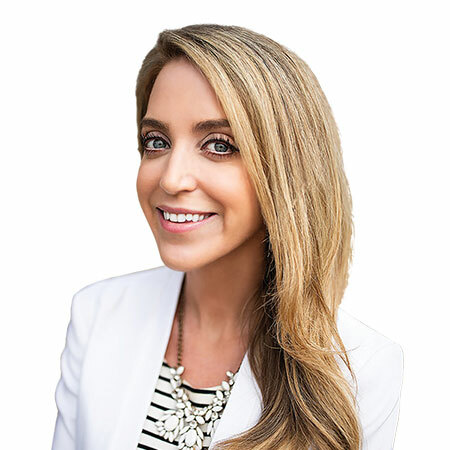 CRISTA CARDILLO has been involved in the operations, oversight, and corporate strategy of several senior living providers across the U.S. She has had experience in every facet of the senior living industry and continues to bring positive change, growth, and revenue to keep these communities sustainable. She has consulted with large senior living organizations on growth and operations strategy and has been a part of multiple acquisitions as a C-Suite executive. Her professional initiatives include expertise in hospice, home health, private duty nursing, assisted living, independent living, and skilled nursing. Her current company, Connected Living, provides easy-to-use technology solutions for seniors and their families. Cardillo is a cancer survivor who has made it her life mission to give back to the health care community. She dedicates her time to bringing meaningful engagement to residents, families, and caregivers. Along with her family, she spent holidays serving meals and spending time with residents in the skilled nursing facility where her mother was director of nursing. She continues to put residents first in both her work and volunteer activities with seniors. 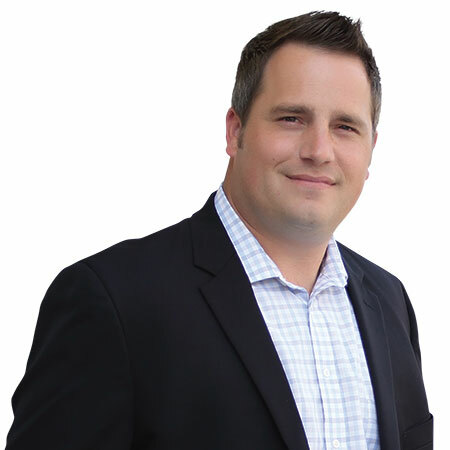 ADAM CLARK has shown outstanding leadership skills both as an administrator and a home office employee throughout his 15+ years with Aegis. He was one of the youngest general managers to open a building in the company’s history. In his current role he revitalized many of the company’s outdated paper-based systems, using innovative workflow management and automated tools to streamline high touch point processes. After spending much of his youth volunteering at Leisure Care and Sunrise Senior Living, Clark found that senior living was in his blood. He worked briefly for Microsoft before joining Aegis, where he quickly rose from staffing director to administrator. Clark’s background in senior living combined with his experience in the tech industry gives him a unique view into how both worlds can join to create a better work experience for associates and a cutting-edge living experience for residents. He has consulted with a variety of organizations in the U.S. and abroad to develop workflows and adapt technologies to fit the needs of senior housing. Clark currently serves on the board of Aegis Living and has served on the awards board of Eastside Serving Seniors. He has also been a guest lecturer at the University of Washington and Washington State University. 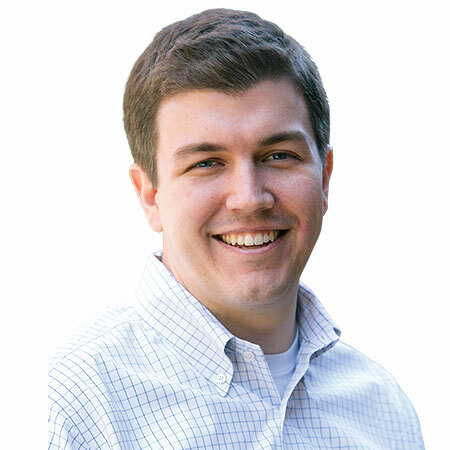 JOSHUA CRISP is the founder and CEO of Solinity, a Knoxville-based company that directs development, management, and marketing of senior living communities. As both an owner/developer and third-party manager, Solinity aims to reshape the senior care industry by providing affordable multigenerational communities built to the needs of the local populations they are meant to serve. In an early role as director of operations at Trinity Care Senior Living, Crisp led the company to diversify their development model into third-party management by creating a unique boutique-style platform that enabled the company to weather the economic downturn of 2008. The boutique concept continues to inform his work at Solinity. Crisp was appointed by Gov. Bill Haslam (Tenn.) to the Board for Licensing Health Care Facilities and has been reappointed for an additional term serving through 2021, where he chairs the Assisted Care Living Facility standing committee. In addition, he launched and cohosts a podcast, Bridge The Gap, designed to inform, educate, and influence the senior housing industry. 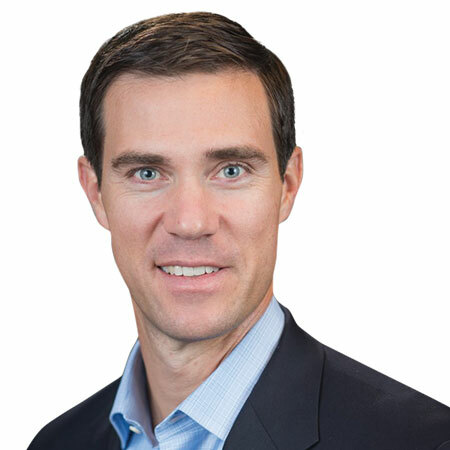 Crisp also founded and his company manages the nonprofit organization, Pedal for Alzheimer’s, Ltd., as their charitable contribution in spreading awareness and raising funds to support research, education, and care. HEATHER HALEY is a talented marketing professional and tireless volunteer. 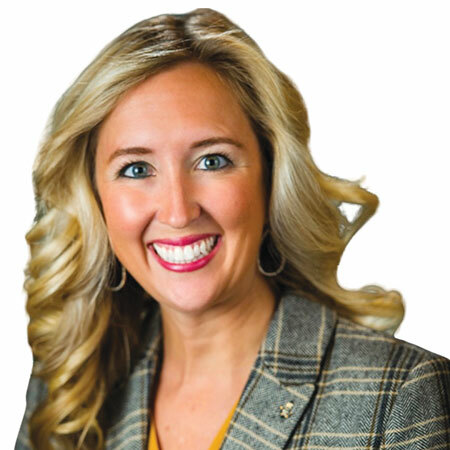 She joined Integral Senior Living as a community director of sales and marketing and within two years was promoted to her current role of regional director of sales and marketing. Prior to joining Integral, she spent four years as an editor and publisher of a guidebook to help seniors and their families find senior care resources. Her publication reached over 1.5 million people in 14 major U.S. cities. Haley also spent two years of her career as an account executive for a home health care company. 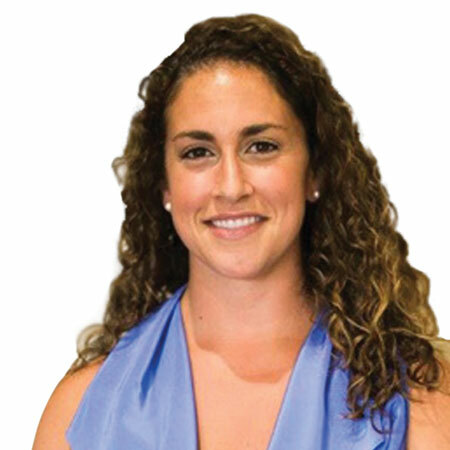 In her current role at Integral, Haley helps ensure that each community, new development project, and Integral Senior Living as a whole meet sales and marketing goals. Outside the office, Haley volunteers to help disadvantaged people in her home community. 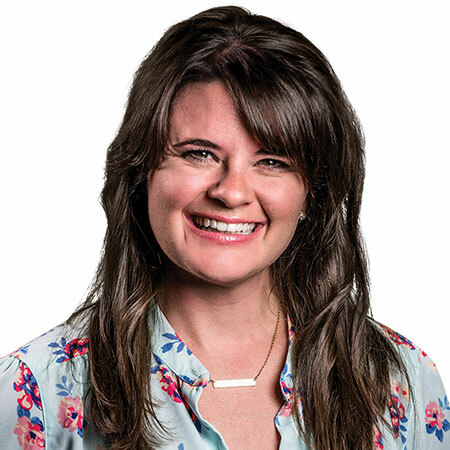 She is the missions leader for the Motel Ministry, which serves those living in the low-income motels in downtown Knoxville, Tenn. She is also co-chair for A21 Knoxville, which raises awareness for victims of human trafficking. She has also served as the Knoxville Alzheimer’s Tennessee Walk Chairperson and has been a board member for the Tennessee Valley Case Management Society of America and the Tennessee Society of Healthcare Social Workers. 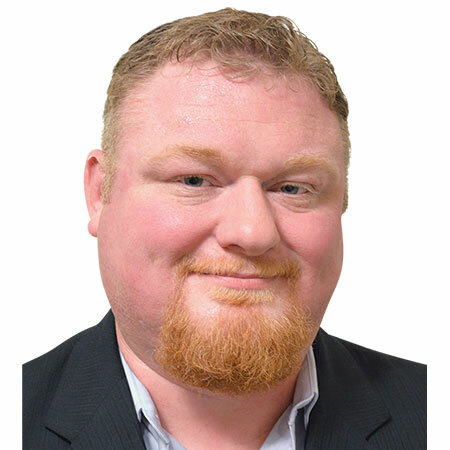 CHRIS HARPER is a leader in marketing, public relations, and in the implementation of technology that supports residents and staff. He has advanced the industry by introducing sales and marketing initiatives that aren’t typical for senior living. His innovations have helped to make the sales and marketing process easier and smoother for both the sales and consumer sides of the journey. During his more than five years at The Arbor Company, Harper has spearheaded management of the corporate brand. 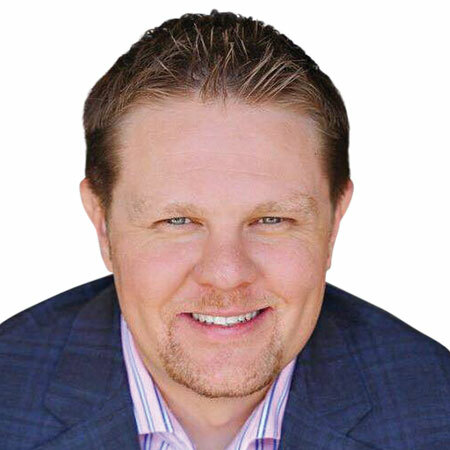 He launched an inbound digital marketing program that in 30 months contributed to a total revenue ROI of 711% across all the communities that The Arbor Company manages. While The Arbor Company operates 12 different brands, Harper has launched processes and tools to make sure that all marketing materials work together to present a unified brand message. 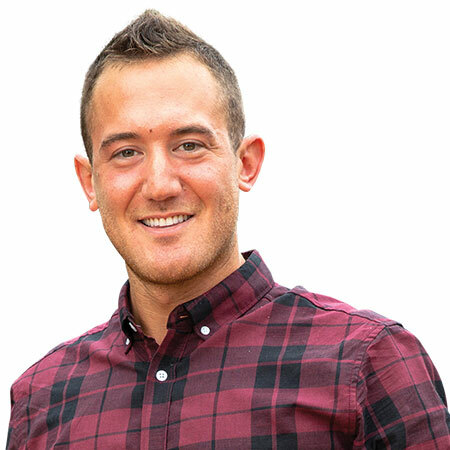 His work won an Impact Award in 2018 for Inbound Growth from HubSpot. In the past two years, The Arbor Company has won six separate MarCom awards for brochure design, print design, and digital marketing content. Harper is also the creator and host of “Senior Living LIVE,” a Facebook Live show that answers common senior living questions for consumers. ERIC HARRMANN creates building designs that address the practical needs of seniors while offering a desirable living space with a modern feel. He is the youngest member of AG Architecture’s leadership team. Harrmann was a key team member on the award-winning Haven Hospice Custead Care Center in Orange Park, Fla. The project received Citations of Merit from EFA Magazine and Healthcare Design magazine. His work on Village Pointe Commons in Wisconsin received a Milwaukee Business Journal Real Estate Award for Best New Senior Living Development and recognition as a finalist in EFA Magazine’s Design Showcase. Both projects were recognized in Argentum’s Senior Living by Design program and were published in the American Institute of Architects’ Design for Aging Review. Harrmann is currently spearheading AG’s Boomers in Transition Survey Series. The first report on unit design was released in 2018. Survey insights have influenced the design development of several new projects, including a community in Milwaukee that combines senior living with an adjoining school and church. The project will revitalize an urban site and create a vibrant sense of community for residents. MICHAEL HOSTLER is a member of the architectural design team at Belmont Village Senior Living, where he has successfully overseen the complexities of Belmont’s institutional grade design from start to finish on five new communities including the company’s first international project in Mexico City. Two new Hostler-designed communities are opening later this year in Chicago and Fort Lauderdale. He is currently working on six new projects in the pre-development phase. Hostler’s architectural projects have been recognized for excellence in senior living during his tenure at Belmont and previously at Morris Architects. His personal and project awards include an Argentum Senior Living By Design Award, Pacific Coast Builders and Contractors Golden Nugget Award of Merit, Houston Business Journal Landmark Award Finalist, and a Golden Trowel Award from United Masonry Contractors Association. He donates his time and experience to the Rice Architecture Mentorship Program at Rice University’s School of Architecture. He has also mentored high school students interested in careers in architecture. At Belmont Village, he has supported the company’s participation in the annual Walk for Alzheimer’s. Before joining Belmont, he worked as a committee member for Morris Architects’ annual United Way campaign. 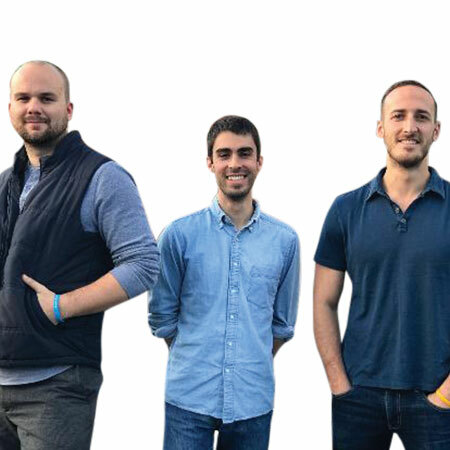 DEVIN JAMESON, JAKE REISCH, and MATT REINERS founded Eversound after noticing the challenges faced by their aging loved ones with hearing loss. All three had a relative struggling to connect with the world around them due to their inability to hear. Although 80% of older adults have impaired hearing, fewer than one in five use a hearing aid. Realizing that hearing aids were not the answer, the team set out to create an assistive product that would be user-friendly and effective at increasing social engagement. They designed an innovative wireless headset system that allows users to participate more fully in community activities. Eversound technology is now used by more than 500 senior living communities in the U.S. Communities have seen improved attendance, engagement, and well-being when using Eversound for group activities and have seen improved one-on-one interactions among care staff, families, and residents. The company has won numerous awards including the 2016 The Mature Market Resource Center’s New Project & Technology Awards, 2018 National Association of Activity Professionals Business Affiliate Award of Excellence, 2018 MedTech Boston’s Top 5 Gerontechnology Products to increase social engagement among seniors, and 2018 Forbes 30 Under 30 for Consumer Tech. 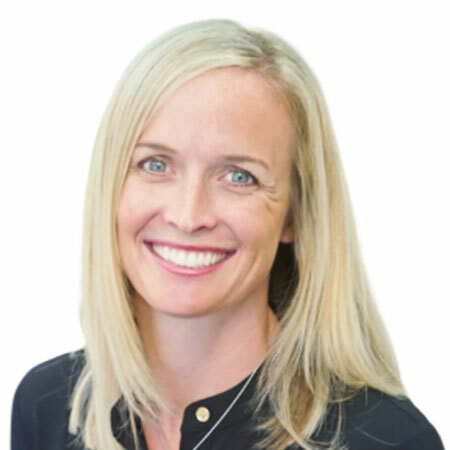 AMY JOHNSON co-founded LifeLoop to keep senior living residents better connected to their communities, their families, and the world around them. She worked closely with providers to develop a software product that would help them give optimum care and service to their residents. Johnson is passionate about relieving social isolation among older adults. She followed her vision to build a company that allows families to be actively engaged with the daily lives of their loved ones living in senior communities. Now used in 29 states, LifeLoop bridges communication gaps and makes life better for residents and their families. 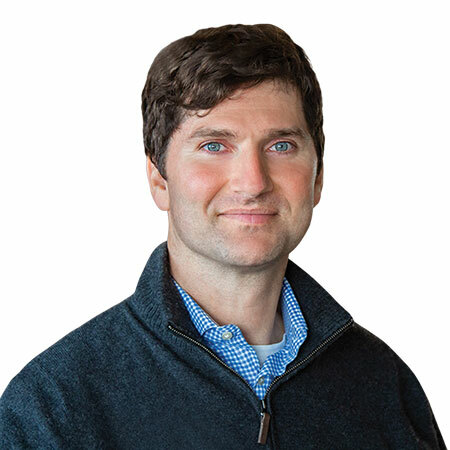 In 2016, Johnson’s pitch garnered LifeLoop a $100,000 investment from AOL co-founder Steve Case at the Rise of the Rest startup pitch competition. She has also won the InnovateHer: Innovating for Women Business Challenge and was named the first-ever female entrepreneur of the year by the Midlands Business Journal. She is a board member with A Wish of A Lifetime, an organization that grants lifelong wishes to seniors and shares their stories to inspire others. She is also actively involved in the Nebraska Health Care Association and other nonprofit organizations. HOLLIE KEMP’s journey into Alzheimer’s and dementia care started in 2000 when she joined the care team at a CCRC in her hometown. She worked in several areas of the community including skilled nursing and adult day, eventually finding her way to memory care, where she discovered her life’s calling. Following her time at the CCRC, Kemp spent nearly five years advocating, supporting, and training on Alzheimer’s and dementia at the Alzheimer’s Association in New York. During her tenure at the Association, her passion grew for impacting the lives of those living with dementia. Since returning to the senior living arena, she has worked in operations and corporate memory care leadership roles. Through her various positions, including two VP roles, she has been recognized as an innovator and leader in memory care. Her programs have impacted thousands of residents, families, and team members and raised hundreds of thousands of dollars for the Alzheimer’s Association. She has served as a global chair for the Alzheimer’s Association’s Longest Day and was a National Walk Team Captain. She views her work as an opportunity to use her God-given gifts to help others. KARA KHANZADIAN hit the ground running in her pursuit of a career in senior living. 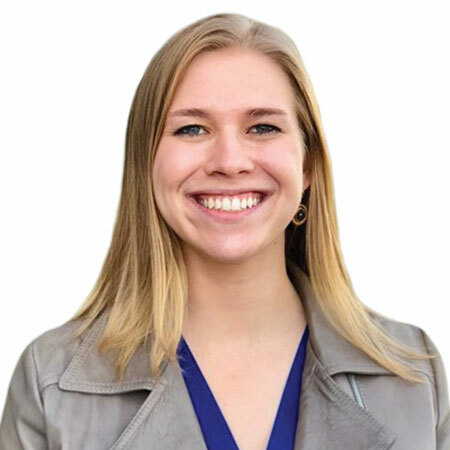 She joined Hearth two weeks after graduating from college and became a licensed executive director in the state of Indiana by age 26. In her current role as regional VP of operations, she oversees eight communities in New York and Indiana. She has been a crucial part of Hearth Management’s growth to its current size of 15 communities. Drawing on her breadth of experience, Khanzadian helped create Hearth’s executive director training process and checklist. She also created the company’s Pre-Opening Tool for new communities. She plays a crucial role in Hearth’s Care Connect Training and contributes to the improvement of Hearth’s trademarked two-day training involving 12 modules of resident-centered and dementia-specific tools for care and management. Proving her versatility and effectiveness, Khanzadian assisted with community evacuations and staging in place during Hurricanes Irene and Sandy. She also shares her knowledge on local radio shows by offering information to listeners about navigating the world of senior living. JOSHUA KRULL got his start in senior living as a certified nursing assistant during high school. He joined Atria Senior Living in 2006 and has held several leadership roles with increasing levels of responsibility. His success in every aspect of leadership–earning the highest results in customer satisfaction, employee satisfaction, quality scores, and sales–led to him to take on a newly created role as VP operations, chief of staff. He was promoted to senior vice president in 2017. Since joining Atria, Krull has achieved recognition for superior results including achieving the highest revenue and highest occupancy in a fiscal year across the company. He also received Atria’s prestigious LTIP award three times as an executive director. The award honors leaders with high scores in quality, employee, and customer satisfaction over a three-year period. His operational success and ability to strengthen ties between Atria’s 225 communities resulted in the execution of new operational standards that enable the company to deliver the highest quality of care to its 23,000 residents. Krull is an advocate for the industry and actively promotes senior living as a positive option for older adults and a great choice for career seekers. SCOTT LIEBER has been instrumental in changing how operators view insurance and risk management. He and his team at the Willis Towers Watson (WTW) Senior Living Center of Excellence are focused on day-to-day servicing, risk management, and transactional advisory for the senior living industry. The team represents roughly 400,000 units across the country. Using WTW data, Lieber established a set of industry benchmarks for professional and general liability insurance. He worked with insurance companies to understand where losses come from in senior living and identified safe resident handling as a key area of loss that impacts both residents and employees. Lieber worked with key vendors to help reduce this exposure and provide a safer workplace for all. 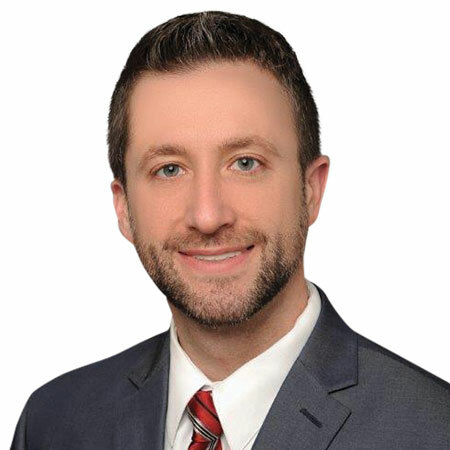 Because of his dedication and determination, Lieber has become a trusted advisor for his clients by identifying emerging risk and developing proactive strategies to improve resident and associate safety. He has twice received the Exceptional Producer Council award from WTW. He also is a speaker at industry events, discussing risk mitigation strategies and working with WTW clinical and legal teams to deliver training on his areas of expertise. 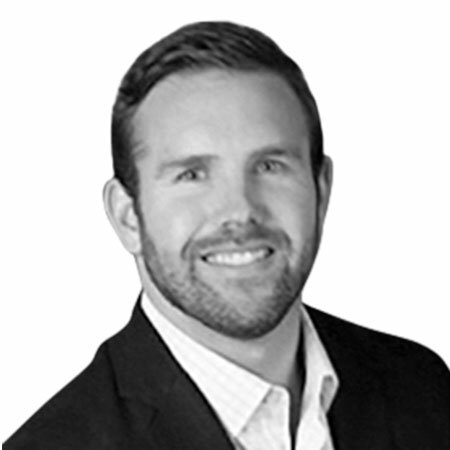 CHARLES MANN IV is the founder of Accushield, LLC, a visitor risk management system designed to enhance safety and security in senior living communities. Accushield replaces visitor log books with a feature-rich and intuitive touchscreen console. The system will have reached 1,000 senior living communities by midsummer 2019. Growing up in the Atlanta, Georgia, Mann spent his summers working in the senior living communities operated by his father. Following a decade in medical device sales after college, Mann joined his father and served as an executive director in one of his flagship communities. It was in that role that he devised the concept for Accushield as he watched visitors and caregivers come and go without any substantial visitor management process. Mann has been a tireless advocate for seniors and the staff members who take care of them. His objective is to provide enhanced safety and security for vulnerable seniors and hard-working staff. He is described by his business associates as honest, bright, hard-working, and driven by a compass that is always pointed to the right thing to do. 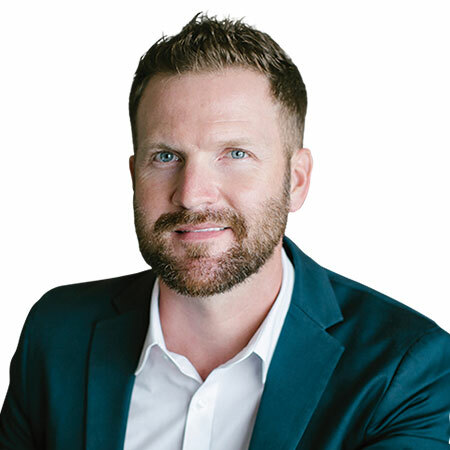 JESSE MARINKO founded Phoenix Senior Living in 2014 and since that time has grown the organization to 22 operating communities throughout the Southeast with multiple communities in development. His company is currently the largest provider of senior living housing in Georgia. Phoenix Senior Living employs more than 1200 team members. 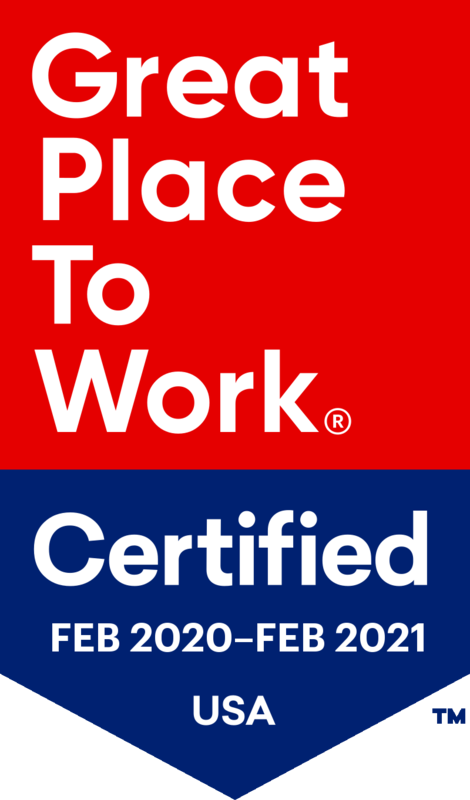 It was recently certified as a 2018 Great Place to Work and was ranked #30 nationally as a Great Place to Work in aging services. Marinko’s athletics background spurred his desire to develop and coach his team members. His mission to invest in his team is evident in the fact that 75% of Phoenix Senior Living managers are internal promotions. Marinko’s Leaders for Tomorrow, designed specifically for front-line team members, has helped hundreds of front-line associates to move forward to advanced roles in the industry. He feels strongly that for many of them, working in senior living is more of a calling than a job. Marinko is a Board Member of ASHA and a member of Young Presidents’ Organization. He is the Pope High School Youth Football Director and remains active as a youth head coach. 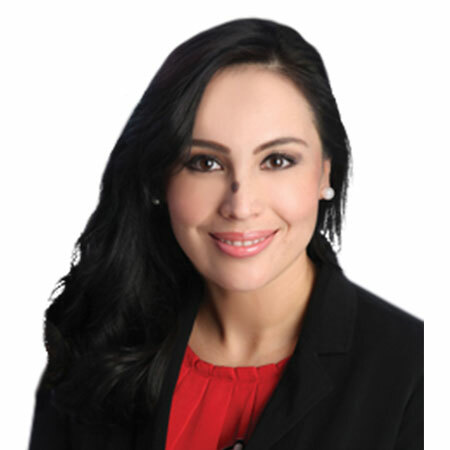 Melendez’s passionate servant-leadership has earned her five internal promotions in her four years with MorningStar Senior Living, a company that starts with heart in choosing its leaders. Melendez is exemplary of that fact. Beyond MorningStar’s walls, her devoted support extends to the Alzheimer’s Association, Child Crisis Arizona, and the Nicaraguan orphanage supported by MorningStar. KYLE REITER was drawn to senior living because of the opportunity it offers to make a real difference in people’s lives. As a fifth generation Merrill family member, he grew up with direct knowledge of Merrill Gardens and he believed strongly in the company’s mission. 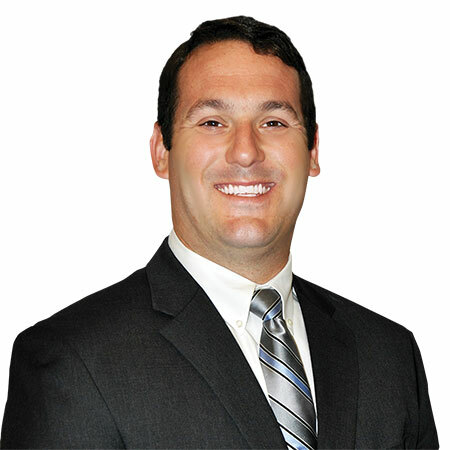 Throughout his career with the family business, Kyle has been driven to excellence by a sense of responsibility to residents, team members, and his family. Reiter began his career with the company as a manager in training in 2012. After proving himself capable, he was promoted to a full time general manager position at a Merrill Gardens community. Under Reiter’s leadership the community experienced a full turnaround both in financial performance and occupancy. Employee turnover decreased dramatically while team member and resident satisfaction scores rose. Reiter’s leadership resulted in the community being recognized as a Top Rated Senior Care Facility in Washington by senioradvisor.com. 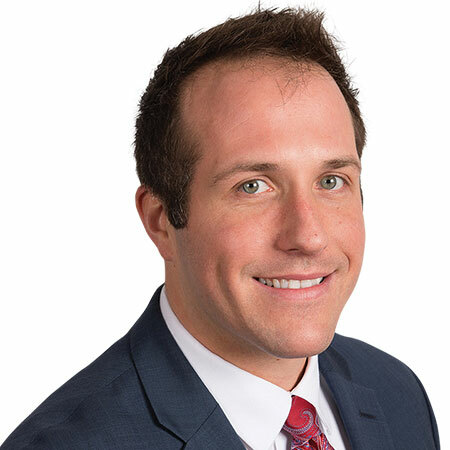 In his current role as VP of operations, Reiter is committed to providing his team members and communities with everything they need to succeed. He strives for excellence while encouraging his teams to do the same. MAX RHEINHARDT III, CDAL first experienced the world of senior living as the grandson of an assisted living resident. The high quality of care and attention shown by the provider inspired him to enter the industry. He pursues his career with the mission to live up to the standards that were set by the team that cared for his grandmother. Rheinhardt began his career as a maintenance director and worked his way up to assistant executive director, eventually becoming an executive director. In that position he contributed to the development of multiple initiatives such as employee recognition programs, an executive director in training process, and a mentorship program for executive directors. He helped his community navigate operations through a remodel of the building while increasing occupancy and revenue growth. The result was 100% occupancy with a waitlist, exceeding census and NOI growth during that time. His community has earned accolades including six Best of South Sound awards, the 2018 Senior Advisors Best of Olympia award, and certification as A Great Place to Work 2018-2019. Internal honors from MBK include Highest Team Member Satisfaction and Lowest Staff Turnover awards. Rheinhardt has also been named MBK Executive Director of the Year. LEDA ROSENTHAL is a social entrepreneur focused on accelerating technology development and adoption in the aging space. In 2016, Rosenthal founded Alz You Need, a digital marketplace and matching service that connects caregivers with technology-based solutions. The mission of Alz You Need is to make it easier for caregivers to find technology solutions to help them improve quality of life for themselves and for their loved ones with dementia. When her mother was diagnosed in 2015 with early-onset Alzheimer’s disease, Rosenthal had a difficult time finding technology that would enable her mother to live safely and remain connected to others. Since that time, Rosenthal has both built and used dementia assistive technology, giving her unique insight into the aging technology marketplace. Rosenthal led a seminar focused on technology’s role in caregiving at CaringKind and will be leading two more this spring. She was featured on a caregiving panel at the 2018 National Alzheimer’s Summit. In 2018 she also won the AARP-sponsored Caregiving Accelerator Pitch Competition. Rosenthal’s vision is a world where every caregiver challenge has a technology solution, a vision that she has shared as the keynote speaker at Aging2.0 OPTIMIZE 2018 and will share again at Aging Into the Future 2019. 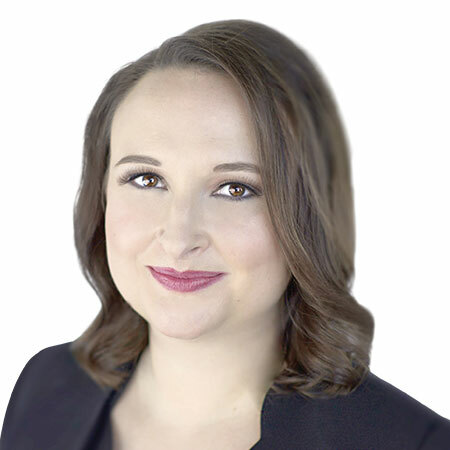 ERIN SHVETZOFF HENNESSEY has risen through a successful career in senior care to become the first female CEO of Health Dimensions Group at the age of 33. In her 20-year career she has furthered a diverse range of business goals in post-acute, long-term care, and senior living settings. Hennessey began her career as a dietary aide at age 14. She fell in love with senior care and developed a deep understanding of the importance that communities and services have for residents and their families. Since then she has been a leader and advisor at senior living communities across the country. As CEO of Health Dimensions Group, Hennessey leads consulting and management services and facilitates partnerships with providers throughout the health care continuum. She effectively guides an organization of over 3,500 people caring for people in over 4,000 units in a quickly evolving senior care landscape. She is a sought-after speaker by local, state, and national organizations on today’s health care issues, such as top trends affecting post-acute and senior care, opportunities and risks for post-acute care in value-based transformation, and strategies for rural health care providers. Hennessey has a master’s degree in gerontology and is a certified professional gerontologist. TREY VICK is a business professional and entrepreneur who saw the need to provide affordable senior housing without sacrificing quality care. His company, Strive Senior Living, focuses on senior housing development, acquisition, and operations. The first Strive branded community began construction in 2018 and is expected to open in mid-2019. The 125-bed assisted living and memory care campus in Fern Park, Fla. will be affordably priced and will include secure courtyards, a public chef’s garden and a dog park. The Strive brand is pursuing multiple other locations and should have a second and third community by the end of 2019. The projects are expected to create healthy job growth that will benefit the Central Florida economy. Vick has served for three years as the chairman of the Community Leadership Council of the Howard Phillips Center for Children and Families. He also serves on the Arnold Palmer Medical Center board of directors and on the Real Estate Council of the University of Central Florida. He has spoken to classes and at events for the university’s real estate program. 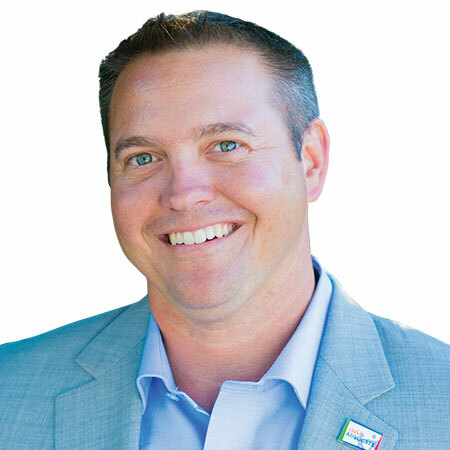 He is an Air Force veteran who has been recognized in Orlando Business Journal as a Top 40 under 40 recipient and received the 2016 Veteran of Influence award. JERRY WILMINK found his passion for senior health care after he lost his grandfather to a fatal fall in 2010. Since then Wilmink has dedicated his life to developing technology products to keep seniors healthy, safe, and secure. His dedication led him to found and serve as the CEO of WiseWear and then to accept the position of Chief Business Officer of CarePredict. CarePredict makes wearable technology that monitors seniors’ daily activities. The product autonomously detects when the wearer is eating, drinking, grooming, sleeping, sitting, and walking. It establishes behavior patterns for each individual and alerts caregivers to changes that may indicate potential health issues such as fall risks, depression, or urinary tract infections. The system helps seniors be safer and healthier and gives families greater peace of mind. The award-winning technology is proven to predict emerging problems that may otherwise result in hospitalizations. Partner communities have observed a 20 percent reduction in monthly fall rate after implementing the technology. Wilmink has been a keynote and invited speaker, and sat on educational and plenary panels at numerous industry conferences. He founded the San Antonio Aging2.0 chapter and recently launched a new Aging2.0 Chapter in Fort Lauderdale. 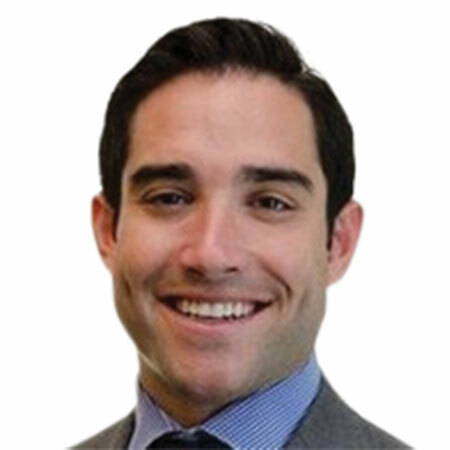 KRISTOPHER YETMAN joined Benchmark in 2013 as development coordinator and quickly stood out as a visionary focusing on innovative development projects. Within four years he was promoted to director of development. He was instrumental in launching the Benchmark mid-market concept, now known as The Branches. The Branches of North Attleboro opened in November 2017 and has won a number of awards. This year, the community received a SeniorAdvisor.com 2019 Best of Assisted Living award. Last year it was named the number one assisted living community in North Attleboro through the WickedLocal Readers’ Choice awards program. After six years in the industry Yetman has grown passionate about elevating human connection and creating meaningful experiences for residents, their families and Benchmark associates. He has contributed to the industry at large by creating innovative solutions that help seniors age well and combat social isolation across price points, geographies and care needs. Yetman has been involved with community work serving local affordability initiatives, such as Heading Home Inc. and Caritas Communities. He is a military veteran having served for more than six years in the U.S. Marine Corps.